Saif Ali Khan is an Indian Bollywood actor. He is one of the most popular actors in India. Films: "Kal Ho Naa Ho", "Hum Tum", "Dil Chahta Hai", "Parineeta", "Being Cyrus", "Omkara". He has won 6 Filmfare Awards and a National Film Award. His mother is actress Sharmila Tagore and his father the cricket player, Mansoor Ali Khan. He has been married twice to Amrita Singh and Kareena Kapoor Khan (currently) and he has 2 children. He has been charged for illegal hunting of blackbucks, as well as assaulting a photoreporter in the past. Actor Saif Ali Khan crowned as Nawab of Pataudi. The crown is a hereditary honour, with no legal or official standing. Khan was crowned as the Nawab on November 01, 2011, 40 days after his father Mansoor Ali Khan died on September 22. the coronation ceremony called Chahallum and Rasam Pagri involved representatives of 52 villages gathering and honouring the new Nawab. Khan became the 10th Nawab of Pataudi, a former princely state located in the Gurgaon district of Haryana state of India. Saif Ali Khan is a famous Indian actor, who was born on August 16, 1970. 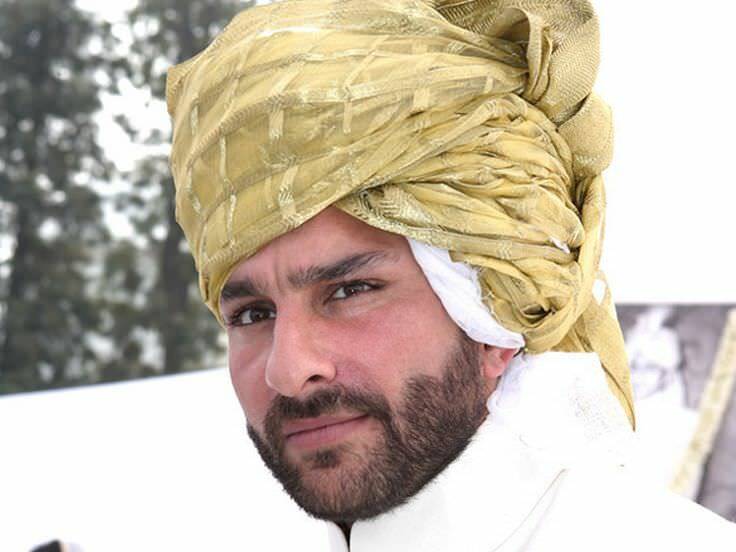 As a person born on this date, Saif Ali Khan is listed in our database as the 1st most popular celebrity for the day (August 16) and the 9th most popular for the year (1970). People born on August 16 fall under the Zodiac sign of Leo, the Lion. Saif Ali Khan is the 45th most popular Leo. Aside from information specific to Saif Ali Khan's birthday, Saif Ali Khan is the 25th most famous Indian and ranks 18th in famous people born in New Delhi, India. In general, Saif Ali Khan ranks as the 526th most popular famous person, and the 105th most popular actor of all time. “The Famous Birthdays” catalogs over 25,000 famous people, everyone from actors to singers to scientists to serial killers and more. If you're curious to see who was born on your birthday, you can use our database to find out who, what, where, when and why. You can search by birthday, birthplace, claim to fame or any other information by typing in the search box, or simply browse our site by selecting the month, the day, the horoscope, or any other clickable option.